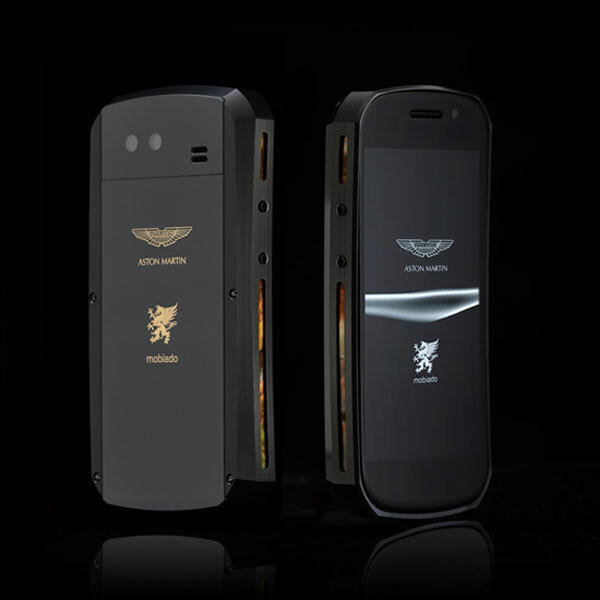 Luxury mobile maker Mobiado has collaborated with British car maker Aston Martin to release the second mobile phone in its new Aston Martin Collection. Last year we featured their cool concept phone Aston Martin CPT002, unfortunately this transparent phone is still not commercially available. Just like its predecessor, the Grand 350, the new Grand Touch Aston Martin smartphone sports a precision CNC machined body created using solid aircraft aluminium which has been anodized for everyday usage. The device possesses an S-LCD capacitive touchscreen display spanning across 4 inches, which proffers resolutions of 480 x 800 pixels. The rear panel incorporates a 5MP camera complete with LED flash to capture precious moments while on the go. As for audiophiles, they can take advantage of the onboard MP3 and MP4 players, which are incorporated to blare out all their favorite tunes. Tailored with a hidden sliding mechanism, the battery cover has been fashioned from a single piece of sapphire crystal. Available as an unlocked device, this gadget is compatible with quad band GSM 850/900/1800/1900, HSDPA 900/1700/2100, integrated A-GPS, and WLAN connectivity options. It can be used in regions around Europe, Africa and Asia-Pacific as well as North and South America, where the aforementioned GSM networks are accessible. It also supports GPRS, EDGE, Wi-Fi and Bluetooth v2.1 with A2DP plus EDR. The five different editions include black with black MOP (Mother of Pearl), black with gold MOP, silver with white MOP, yellow gold with ebony wood, and rose gold with ebony wood. Both gold models have been CNC machined with solid brass and then plated with yellow or rose gold, as revealed by the company.